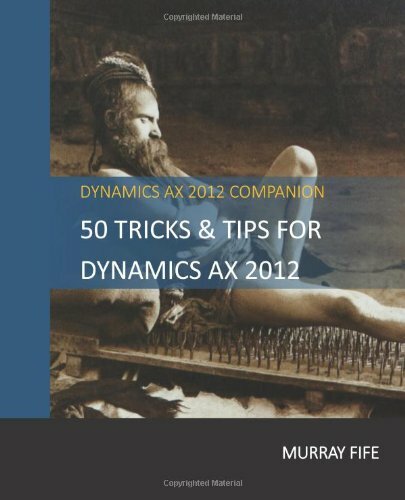 With the 2012 release of Dynamics AX, a new feature called “Cases” was introduced that allows you to create case files for just about anything that you care about within the business. 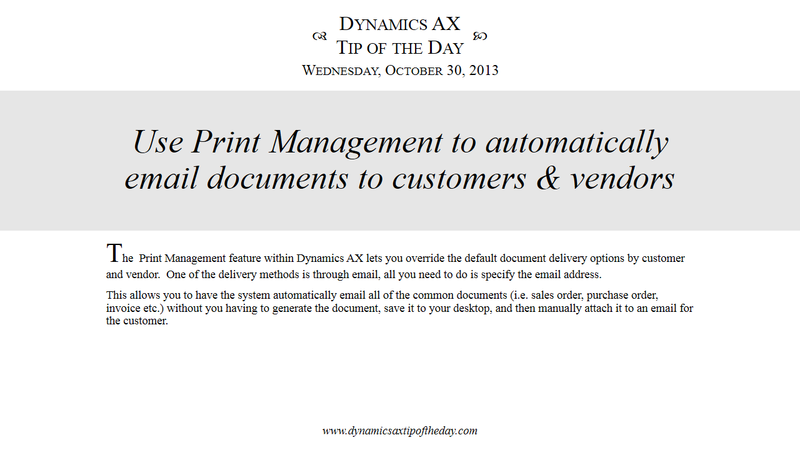 This is not just a logging system though, you can attach files to the cases, record activities against the case, and also create workflows and business processes that track the progress of the case so that things don’t slip through the cracks the way that the old fashioned paper method if prone to happen. 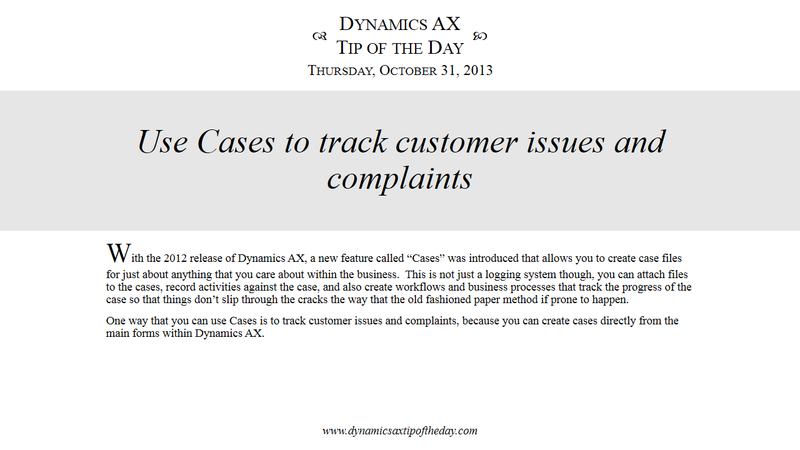 One way that you can use Cases is to track customer issues and complaints, because you can create cases directly from the main forms within Dynamics AX. 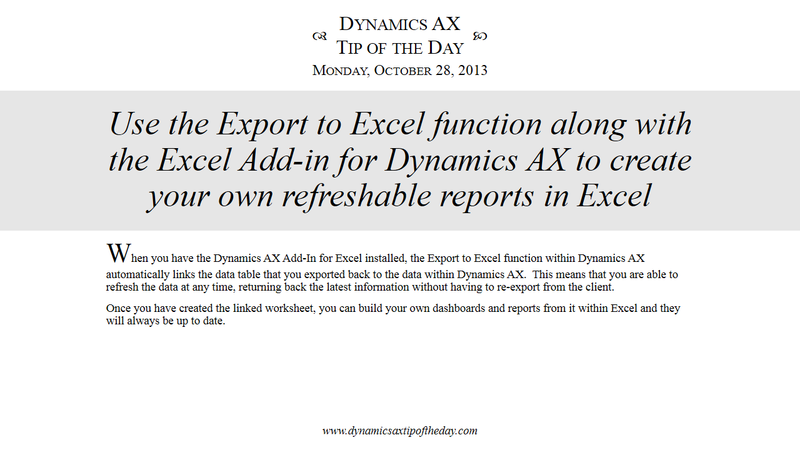 When you have the Dynamics AX Add-In for Excel installed, the Export to Excel function within Dynamics AX automatically links the data table that you exported back to the data within Dynamics AX. This means that you are able to refresh the data at any time, returning back the latest information without having to re-export from the client. 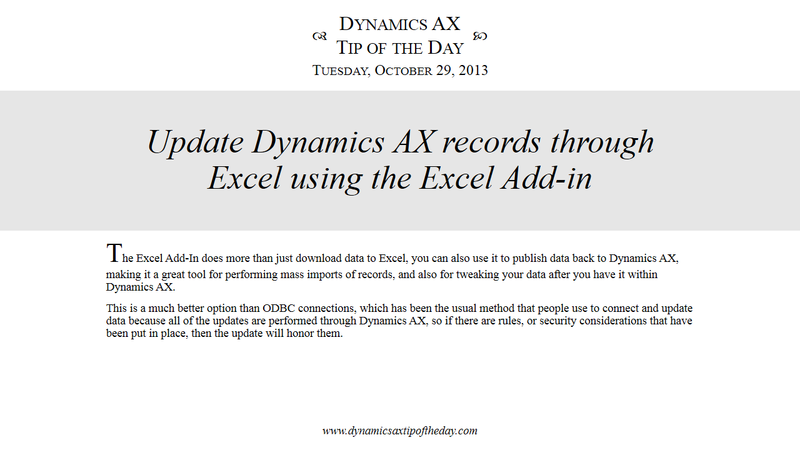 Once you have created the linked worksheet, you can build your own dashboards and reports from it within Excel and they will always be up to date.